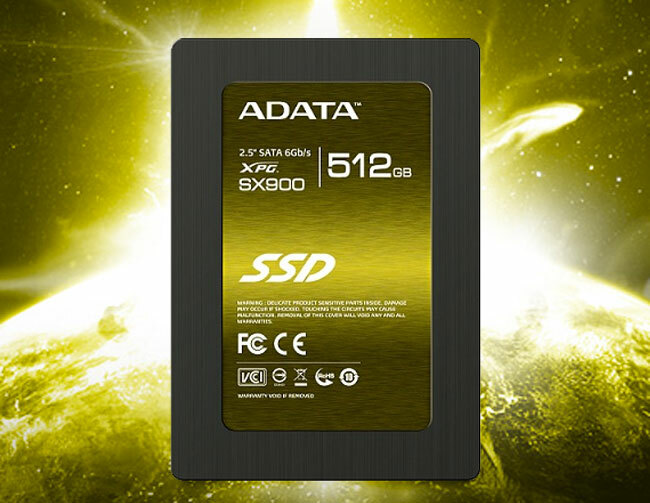 ADATA has this week unveiled three new additions to its range of solid state hard disk drives, in the form of the XPG SX900, Premier Pro SP900, and Premier SP800. The XPG SX900 is art of ADATA’s high-end brand is aimed at enthusiasts and gamers looking for that little extra performance. Its read and write speeds are 550/530 MB per second, with maximum random 4k write speeds as high as 85,000 IOPS. The new XPG SX900 will be available in capacities of 64, 128, 256, and 512GB, and ADATA says that their SX900 SSD is “poised to take its place as a market and performance leader”. The other mid-range Premier Pro SP900 SSD boasts a competitive price and also impressive speed performance, with a 550/520 MB per second read/write, with maximum random 4k write speeds of 85,000 IOPS. Finally the Premier SP800 is a SATA II compliant SSD that makes use of Flash storage, and is available in either 32 or 64GB capacities, offering read and write speeds are 280/260MB per second, and max random 4k write speeds are up to 44,000 IOPS. Unfortunately no information on pricing or worldwide availability has been released as yet by ADATA.